IQOYA range has been designed to help broadcasters focus on what really matters: delivering content. 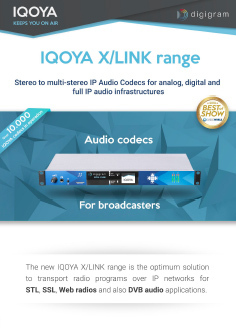 Whether they are used in the field, in studios or at transmitter sites, IQOYA IP codecs allow to safely deliver high quality audio content to your listeners, 24/7 and 365 days a year. IP technologies are now widely used in many industries, including radio broadcasting. Audio networking technologies are part of the DNA of Digigram, which has been a major player in its adoption by radios and broadcasters, and which is now recognized as an expert in IP audio. The knowledge and experience accumulated by our team since our first IP audio codecs in 2009 have resulted in products with a level of reliability rarely achieved. That’s why we call them STRONG CONNECTIONS MAKER. 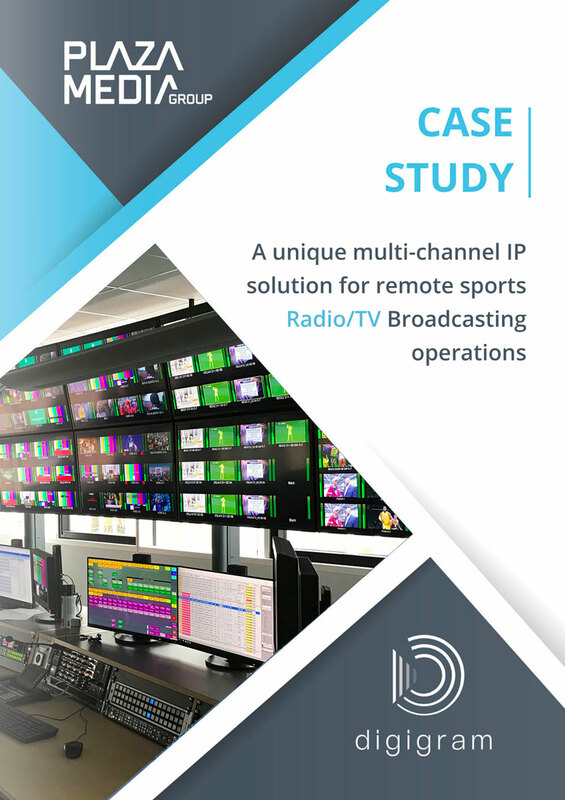 Thousands of IQOYA X/LINK are in operation around the world, here is a selection of different case studies showing our AoIP codecs in action for remote broadcasting / Master control room for both Radio and TV, as well as distribution cases in extreme conditions. Judge by yourself! Plazamedia is a leading sports TV production company from Germany with over four decades of experience. They work with some of the main TV players involved in sports broadcasting, like Amazon, DAZN, Sport1 as well as ZDF, ARD and many others. As traditional ISDN networks continue to be phased out, Plazamedia approached Digigram to make a controlled and hassle-free switch to full IP networks. This was also a part of a larger project plan, as Plazamedia was building a new Master Control Room (MCR). DR|Radio (from its earlier name, Danmarks Radio), is part of Denmark’s national broadcasting corporation in charge of radio programming. Facing the slow yet inevitable phasing out of ISDN connections in Denmark, as well as the aging state of its existing ISDN codecs, the public broadcaster undertook an upgrade of its audio contribution technology. 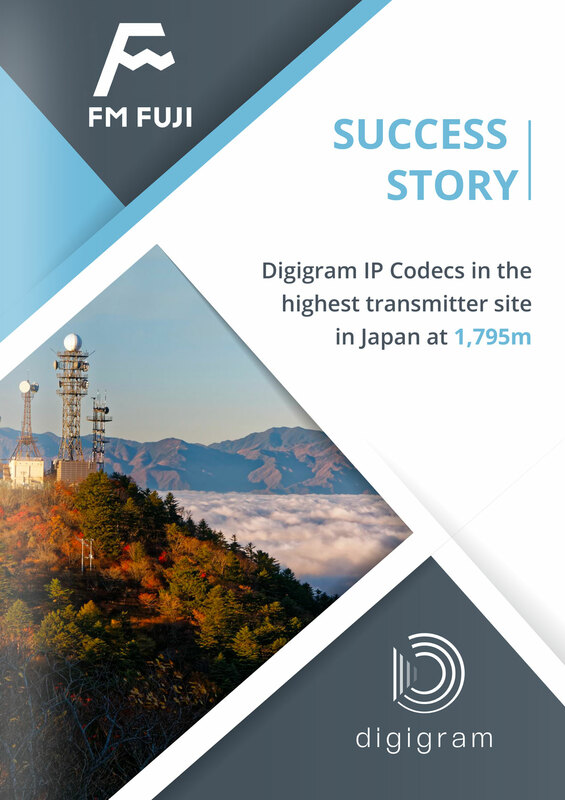 Discover how Digigram helped DR to acquire IP audio codecs and install a secure SIP infrastructure that could handle the IP calls, along with a management system for system control and monitoring. FM FUJI is an independent regional FM radio station based in Yamanashi prefecture, Japan. The broadcaster will celebrates its 30th anniversary in 2018. FM FUJI was facing the fast-approaching termination of ISDN line service. That prompted the radio broadcaster to replace their ISDN codec with IP codecs. 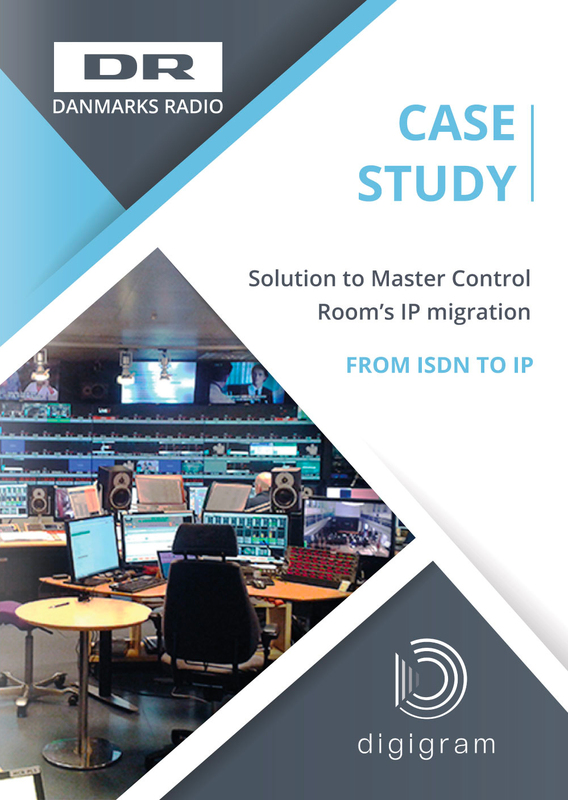 In order to stream one stereo program to three transmitter sites, the Japanese company required an easy-to-integrate, secure and reliable solution using IP networks. The solution should also integrate a strong back up system. Much more than Dual Streaming! Almost 10 years ago, Digigram invented IP audio codec with dual streaming technology, which allows reliable transport of audio content thanks to the real time seamless switching between two networks. FluidIP, Digigram’s smart streaming engine which natively features redundant dual streaming, is at the heart of all the IQOYA hardware and software codecs, and brings many benefits such as:. Optimum audio quality regardless of network performance. Multiple compression formats and transport protocols to match bandwidth/latency requirements. Combination of several adaptive correction strategies depending on network quality. The IQOYA range is acclaimed by many broadcasters and today we are proud to announce that there are currently more than 10,000 codecs in operation – every day – anywhere on the planet. You can download the brochures to know more about our range of AoIP codecs. The X/LINK range earned a NewBay Best of Show Award at NAB 2018. Presented by Radio World International, a NewBay brand, the award recognizes Digigram’s IQOYA X/LINK range as one of the most innovative products serving the radio industry exhibited at this year’s show. In this brochure, you’ll find all technical information you need as well as IQOYA X/LINK compare chart. 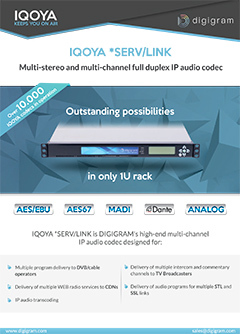 IQOYA *SERV/LINK handles up to 64 stereo (128 mono) input and output channels a high density 1U rack multi-channel IP audio codec designed for the delivery of audio programs in applications such as multiple STL and SSL links; delivery of multiple WEB radios to CDNs; multiple program delivery to DVB/cable operators; multiple intercom and commentary channels. Your email addresse is required. In fact, by the time you read these lines it is highly likely that you are hearing Digigram while listening to the radio.